We have a great range of used ISO tanks and stainless tanker trailers for sale currently. Ideal as fertiliser and water storage tanks. Keep your eyes on the website or call us with your requirements. We are continually adding new stainless liquid tankers to our fleet. 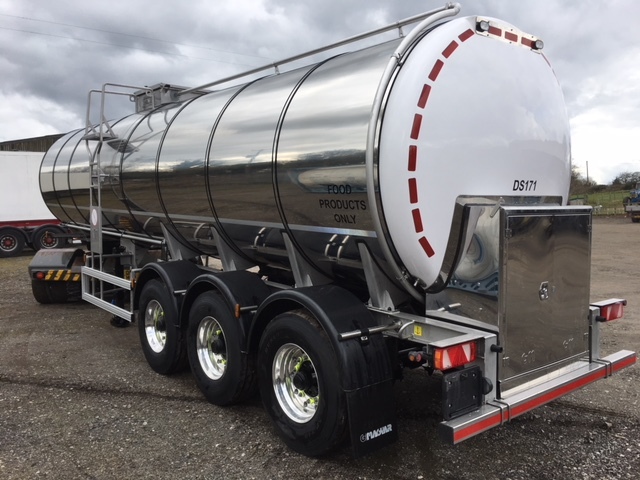 This month has seen the arrival of a new milk reload tanker. This is joining several others within a national hauliers fleet for the carriage of milk and dairy products. Plenty more units are on the way so give us a call if we can help you.